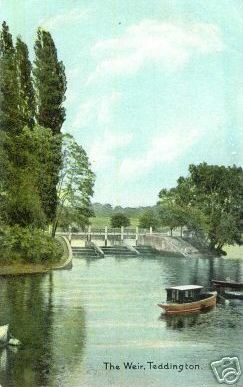 Included in this section are various old pictures and scenes from Teddington Lock through the ages . I have no idea of the copyright holders of the various pictures, but if anyone knows who they are , if you let me know , I will be happy to credit them for their work ! 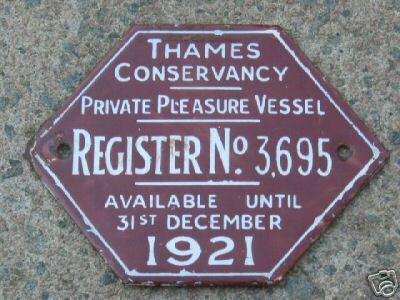 A long time ago , the river was managed by the Thames Conservancy , when the licence fee was paid , you were issued with small pressed tin badges to display on your vessel. There is quite a collectors market for these now, and they regularly turn up on Ebay.